Versus is not an ordinary event. Versus is not about pitching products or preaching to the choir. Versus is about challenging what you think you know about cybersecurity, about technology, about doing business in the digital age. When you attend Versus you’ll see short presentations and fierce debates that will educate and challenge you. No boring, hour-long presentations or panels. You’ll also be entertained with musical, comedic, and artistic guests. Here are seven magnificent reasons to attend. ARE YOU READY TO CHALLENGE WHAT YOU KNOW? Despite our intentions, why do we so often fail to act in our own best interest? Why do we promise to skip the chocolate cake, only to find ourselves drooling our way into temptation when the dessert tray rolls around? Why do we overvalue things that we’ve worked to put together? What are the forces that influence our behavior? Dan Ariely, James B. Duke Professor of Psychology & Behavioral Economics at Duke University, is dedicated to answering these questions and others inorder to help people live more sensible – if not rational – lives. His interests span a wide range of behaviors, and his sometimes unusual experiments are consistently interesting, amusing and informative, demonstrating profound ideas that fly in the face of common wisdom. He is a founding member of the Center for Advanced Hindsight, co-creator of the film documentary (Dis)Honesty: The Truth About Lies, and a three-time New York Times bestselling author. His books include Predictably Irrational, The Upside of Irrationality, The Honest Truth About Dishonesty, and Irrationally Yours. His next book, Payoff, will be published in November 2016. In 2013 Bloomberg recognized Dan as one of Top 50 Most Influential thinkers. He also has a bi-weekly advice column in the Wall Street Journal called “Ask Ariely.”Dan can be found at www.danariely.com. Yousuf Khan serves as VP of IT at Pure Storage, the market's leading independent solid state array vendor. As the first to hold the role, Yousuf has helped Pure Storage scale systems and processes to support fast growth. Prior to joining Pure, Yousuf was the first CIO of Qualys, where he led corporate infrastructure, IT security, business applications and sales operations. 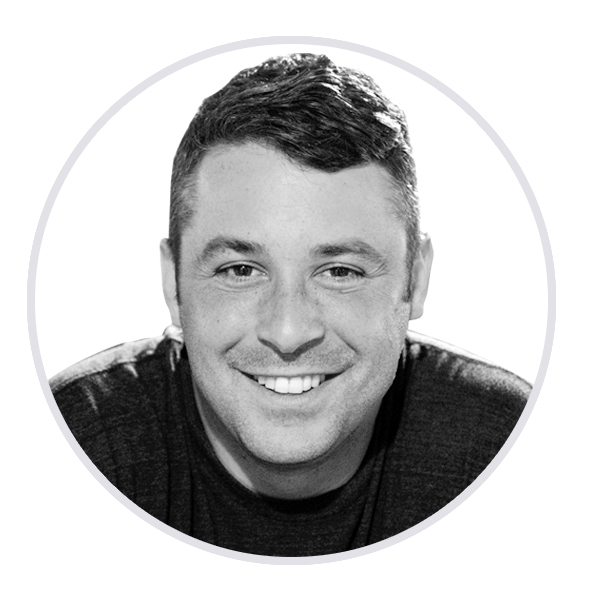 Oren J. Falkowitz is a co-founder and the CEO of Area 1 Security. Previously Mr. Falkowitz held senior positions at United States Cyber Command (USCYBERCOM) and at the National Security Agency (NSA) where he focused on Computer Network Operations and Big Data. Caroline Wong is the Vice President of Security Strategy at Cobalt. Cobalt delivers crowdsourced pen tests and private bug bounties to modern organizations.Caroline’s close and practical information security knowledge stems from broad experience as a Cigital consultant, a Symantec product manager, and day-to-day leadership roles at eBay and Zynga. She is a well known thought leader on the topic of security metrics and has been featured at industry conferences including RSA (USA and Europe), IT Web Summit (South Africa), OWASP AppSec, Metricon, the Executive Women’s Forum, ISC2, and the Information Security Forum.Caroline received a 2010 Women of Influence Award in the One to Watch category and authored the popular textbook Security Metrics: A Beginner’s Guide, published by McGraw-Hill in 2011. She graduated from U.C. Berkeley with a B.S. in Electrical Engineering and Computer Sciences. Nick Bilogorskiy is a founding team member at Cyphort, a next-generation anti-malware startup, and is currently leading threat operations there. He came to Cyphort from Facebook where he was the chief malware expert and a security spokesperson for the company, keeping 1 billion active users safe and secure. Nick is skilled in reverse engineering, analysis, writing patterns and tracking malware, frequently quoted in the media. He recently presented on IOT security at SKBI-BFI conference. He holds a Bachelor of Science degree in computing science and philosophy from Simon Fraser University in Vancouver, Canada, and a GIAC Reverse Engineering Malware (GREM) certification. He holds several patents in computer security. As CEO and Co-founder of Vera, Ajay is building the next great security company for a world without borders. He is a serial entrepreneur with over 20 years of experience in enterprise software. Most recently, Ajay co-founded RAPsphere, a cutting-edge mobile security company which was acquired by AppSense in 2012. He also served as Vice President of Products and Services at Mashery, Inc. (acquired by Intel) where Ajay built-out all products, engineering and SaaS/cloud operations. Prior to Mashery, Ajay served as Vice President of Products and Solutions at newScale, Inc. (acquired by Cisco). He has also held key product management, software engineering and consulting roles at Corio (acquired by IBM) and Oracle..
Daniel Rosenthal is an Associate Managing Director in the Investigations and Disputes Practice of Kroll, a global leader in investigations, risk mitigation, compliance, security, and incident response solutions. Until January 2016, Rosenthal served in a variety of national security positions with the U.S. Government, most recently as Director for Counterterrorism with the National Security Council. Richard Seiersen is a security executive with 20 years’ experience spanning subject matters in cybersecurity, governance, risk and compliance (GRC) and analytics. He is currently the CISO/VP Trust for Twilio and was previously the General Manager of Cyber Security & Privacy for GE Healthcare. Prior to GE Healthcare, he was the Director of Cyber Security for Kaiser Permanente where he ran one of the security industry’s first security data science teams focused on advanced threat detection. He has also held leadership roles in several venture capital back security organization and insurance firms. Amir Ben-Efraim is co-founder and CEO of Menlo Security. Previously, Amir was VP of cloud security at Juniper Networks where he helped define the company’s strategy to secure the virtualized data center, public and private clouds. He joined Juniper via its acquisition of Altor Networks, which he led as founder and CEO. Prior to Altor, Amir was an executive at Check Point Software, a pioneer in Internet security. He holds an MBA from UCLA, an MSEE from Stanford University and a BSEE from UC Berkeley. Adel Zahiry is Business Information Security Officer for NBCUniversal. Serving the Filmed Entertainment and TV businesses, he leads the portfolio of information security programs and risk mitigation strategies. He was previously responsible for establishing the global information security organization at Activision Blizzard, after consulting Fortune 500 companies within Entertainment, Media and Technology on risk management, cybersecurity, governance and compliance with Deloitte. Adel also holds leadership roles in industry groups, including the Motion Picture Association of America focusing on content and information security best practices. writing for publications such as TechCrunch, Wired, Washington Post, Dark Reading and Federal Times and has been a speaker at global events, including Borderless Cyber and OASIS. Prakash is the chief technology & product officer and co-founder of Vera. In this role, he oversees all products and technology, and is responsible for developing the overall product strategy and technical vision of the company. Prakash is an entrepreneur who is passionate about building game-changing products. He most recently served as CTO and co-founder at RAPsphere, which was sold to AppSense in 2012. Prakash received his PhD from Cornell University and earned his Bachelors from IIT Madras, both in Computer Science. Patrick Heim is the head of trust and security at Dropbox, where he manages security and compliance for both the company and its service. Previously, he served as chief trust officer at Salesforce, where he built and ran a world-class security team that contributed to making Salesforce one of the most trusted enterprise cloud vendors. Heim also held chief information security officer positions at Kaiser Permanente and McKesson Corporation, and senior positions at Ernst & Young and two early-stage security technology companies. Heim advises security startups and serves on the board of directors at Cylance. Kate Conger is a writer at TechCrunch, covering policy and security. Prior to joining TechCrunch, she was the managing editor of the journalism startup Ratter. Her work has appeared in Motherboard, The Daily Dot, San Francisco Magazine, and SF Weekly. As chief commercial officer, Alan leads Illumio’s go-to-market strategy and customer engagement life cycle organizations, including marketing, support, talent, and IT. He is a 25-year technology veteran known for company building and new-market-creation experience. Alan is a frequent industry speaker and commentator whose work has appeared in The New York Times, Fortune, Re/code, and Gigaom. He has a BA from SUNY Buffalo, an MA from the School of International Service at American University, and an MBA in Finance from the Stern School of Business at New York University. Nami Mufti leads up Research and Development in the Information Security and Risk Management Department at Capital One. In his role he is responsible for Security Innovation and Acquisitions. Nami has been with Capital One for over 16 years and has spent his entire career in the field of Information Security and Risk management holding various positions. In his previous roles, he served as the Information Security Officer for the Card and Financial Services lines of business directly supporting the divisional CIOs and their organizations in matters of Security and Risk. Nami has also run the Information Security Policy Program at Capital One and led large enterprise efforts to roll out security capabilities in the organization. Early on in his career he provided consultation services to business customers on security matters and helped develop the security program for third party management and conducted numerous security assessments of Capital one third parties across the globe. Nami has Bachelors in Computer Information Systems from James Madison University. He has been a Certified Information Systems Security Professional since 2005. David Baker is the Chief Security Officer at Okta with 15+ years of experience in enterprise data security, IT and government computer research. As CSO, David is responsible for the security of Okta’s service, helping the company focus on customer success by solving the security challenges enterprises face as they evolve operations into the cloud. 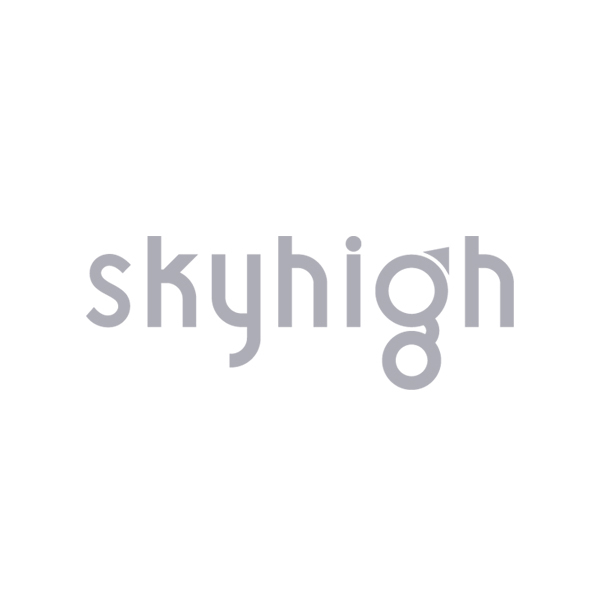 aushik Narayan is a Co-Founder and CTO at Skyhigh Networks, where he is responsible for Skyhigh’s technology vision and software architecture. He brings over 18 years of experience driving technology and architecture strategy for enterprise-class products. Kaushik has been working in the network security and management space for sixteen years and large part of that at Cisco systems where his last stint was as the Principal Engineer responsible for the Identity Services Engine product, which won Cisco Pioneer Technology award. Kaushik helped drive key technology initiatives within Cisco in the areas of Policy Management, Cloud Centric Networking and Network Automation. He has filed several patents and has also been an active member at the IETF, where he is responsible for multiple RFCs. Kaushik holds a Bachelor of Science in Electrical Engineering from Pune University and an MS in management Systems from BITS Pilani. Robin is Chief Marketing Officer at Vera, where he runs marketing, alliances, and business development. Robin is a prominent advocate and expert on enterprise software, security technologies, cloud and mobile computing, and business innovation. Before joining Vera, Robin led enterprise marketing at Box, growing the company over five times in three years. Prior to Box, Robin led product marketing at Salesforce for the Chatter product line, spending more than 4 years at the company in both San Francisco and London. Robin has worked in technology for over 15 years for leading companies such as Veritas and Vignette. Robin is from Denmark, where he studied international marketing at Copenhagen Business College. Welcome to Versus. Vera CEO and co-founder, Ajay Arora, will kick off a full day of controversial debates, primary security research, and dynamic discussions. Prepare to be challenged, and prepare to add your own voice and opinions to the debate. No one is a silent participant. Dan Ariely, innovator, academic maverick, world-renowned author, and one of the world’s most influential thinkers, will get Versus started with a discussion of the psychology of security. He’ll ask (and answer), “Why do security teams make unpredictable, even irrational, decisions?” His unorthodox approach to understanding human behavior is a perfect match for the themes of Versus – ideas that challenge you and the status quo. Your Perimeter is Dying. That’s a Good Thing. In the age of the hack, the dissolution of the known organizational boundary, the perimeter, would appear to be one of the scariest developments for security and information technology professionals – or is it? In this session, Alan will demonstrate why this trend is actually driving improvements in security and giving InfoSec teams more control. In her session on Privacy, Confidentiality, and Security in the Social Media Age, Clara will discuss how as individuals, we are used to sharing everything about ourselves online. But, how does that translate into how we view sharing, privacy, and confidentiality at work? Is it okay to share as freely at work as it is in our private lives? What are the repercussions of that and what can organizations do to maximize sharing and creativity without compromising crown jewels data? Debate - Data vs. Network vs. Identity Security: Where Do You Start? We’re all trying to protect our enterprise’s crown jewels, but where do you even begin? Do you begin with the network, identity or securing the data directly? Ajay Arora, CEO of Vera, David Baker, CSO of Okta and Daniel Riedel, CEO of New Context disagree and challenge what the priority should be for every organization in this head-to-head debate. Risky Business: Can We Really Measure Cyber Risk? If your sensitive information gets out there, how exposed are you? What will the impact be on your financial state, ability to compete, reputation, and ultimately customer trust? Richard Seiersen, author of Measuring Cyber Risk, and current CISO at Twilio (after a long stint leading cybersecurity at GE Healthcare) shares how your organization can better prepare for a world where anything can happen. When you’re in hyper-growth mode, all the rules go out the window. True and tried business models become obsolete and you have to re-invent how you do EVERYTHING. Yousuf Khan, VP of IT at Pure Storage, shares his insights on how to challenge the status quo to create an IT organization that’s more agile, responsive, and secure without slowing down. Debate - Encryption: Tool of Terror vs. Tool of Liberty? Earlier this year, Apple and the FBI battled it out over access to an encrypted terrorist’s cellphone in the tragic aftermath of San Bernardino. Should the government have backdoor access to encrypted messages to protect our national security, or do backdoors ultimately make us less secure? Cindy Cohn, Executive Director of the Electronic Frontier Foundation, will square off with Daniel Rosenthal, a former Director of Counterterrorism for the White House, in one of this year’s most controversial security and privacy debates. The pace of the modern enterprise has created a new paradox: how do organizations move faster, act more creatively, and collaborate effectively without compromising security, privacy, and control? 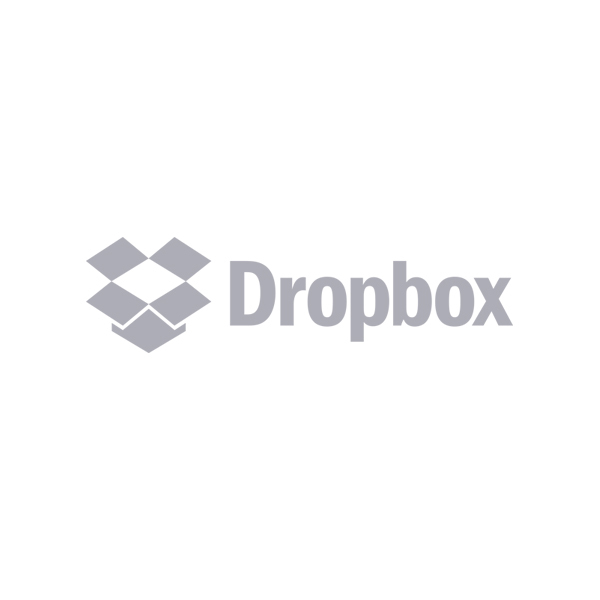 Patrick Heim, Chief Trust Officer at Dropbox and formerly the head of Trust and Security at Salesforce, Kaiser Permanente, and McKesson, will discuss the delicate and powerful tension between these two forces and how an organization can harness both. When is a bank not a bank? When it’s a technology company, operating beyond the limits of what most financial institutions consider comfortable. Nami Mufti, Director of Information Security at Capital One has been balancing his company on this edge for over 15 years. Hear his four rules for protecting data at the cutting edge in this TED-style talk. The old way of thinking about security is dead. Security is no longer just something to reactively use to protect our businesses, but something that can be harnessed to make everyone more productive. Learn how NBCUniversal thinks about cybersecurity as a way to move faster, smarter, and outrun the competition. What keeps you up at night? Is it the trusted insider with access to the crown jewels (The Snowden scenario), or is it the hacker trying to steal your information for financial, political or other malicious reasons (The North Korea scenario)? Or are you more worried about the seemingly endless apps that everyone in your organization is now using on their laptops and mobile devices that you know nothing about? Sounds like something we need to talk about. Today, we’re dealing with the challenges of a collapsing perimeter and an explosion of escape vectors for data. What might the next set of challenges for security professionals and startups look like? Join Vera co-founders Prakash Linga and Ajay Arora for their thoughts on the future of cyber security and the ramifications for the enterprise.